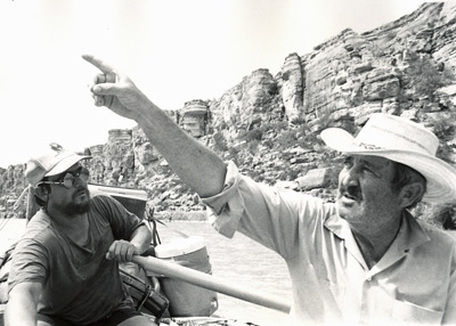 Dr. James F. Scudday was a co-founder of the Chihuahuan Desert Research Institute and dedicated professor of biology at Sul Ross State University. Upon his retirement in 1995, the Texas State University System Board of Regents named Jim a Distinguished Professor Emeritus of Biology, the Board’s highest honor for retired teachers. Dr. Scudday’s classes were always full. Classroom presentations, emphasizing integrated, relevant information, were consistently interesting to students, causing them to anticipate the next session. Jim thoroughly enjoyed spending weekends in the field with students, frequently accompanied by his wife, Fern. Despite a heavy teaching load, Jim still found time to carry out significant research, published in scientific journals, and to prepare numerous comprehensive vertebrate surveys for the Texas Parks and Wildlife Department and National Park Service. During his tenure at Sul Ross, he directed well over 100 students in graduate programs and thesis projects. Over the years, an impressive number of students maintained contact with Jim, never failing to express appreciation for what he had done for them as a teacher and friend. In honor of the many contributions Jim made to the field and his passion for teaching, the Dr. James Scudday Endowed Scholarship Fund was established in Jim’s memory in 2010. Income from the fund will be used to support Sul Ross State University graduate students conducting research in the natural sciences of the Chihuahuan Desert region. The Scholarship Committee selects recipients from a pool of eligible applicants (see the attached application form). Special consideration will be given to applicants doing research in vertebrate biology.